The adidas Ultra Boost is always up to take on a unique new colorway. The latest new look for the ever-popular silhouette is a combination of flashy colors to create a contrasting look. Check out the adidas Ultra Boost 4.0 “True Green” coming soon. The adidas Ultra Boost has been steadily dropping in exciting new colorways all year. While the franchise has somewhat slowed in recent years in terms of hype, the comfort and performance and virtually unchanged from the original, making it one of the most popular shoes on the market. This month, thanks to Py_Rates, we have an early look at an exciting new pair set to arrive sometime later this year. 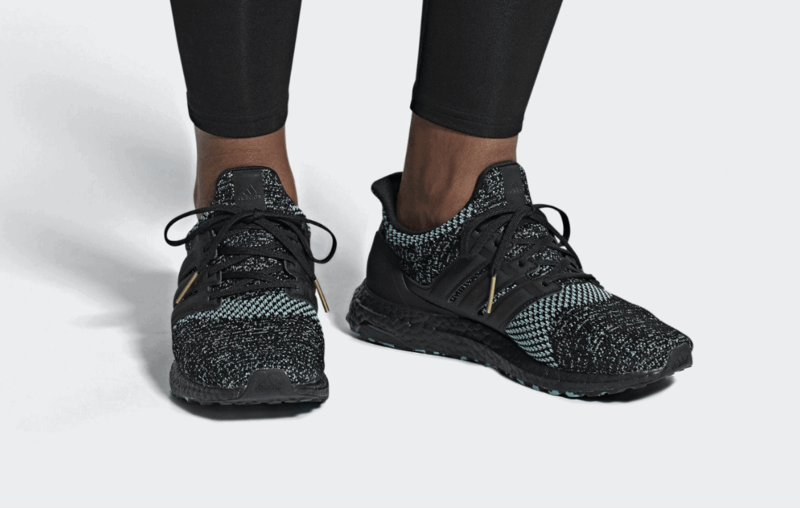 The dark new of the Ultra Boost begins with core black Primeknit threads throughout most of the upper, split almost evenly with a “True Green” color mixed in. Present most in the toebox, this green hue helps the shoe pop and highlights certain design choices like the black leather cage and 3D-printed heel cup. 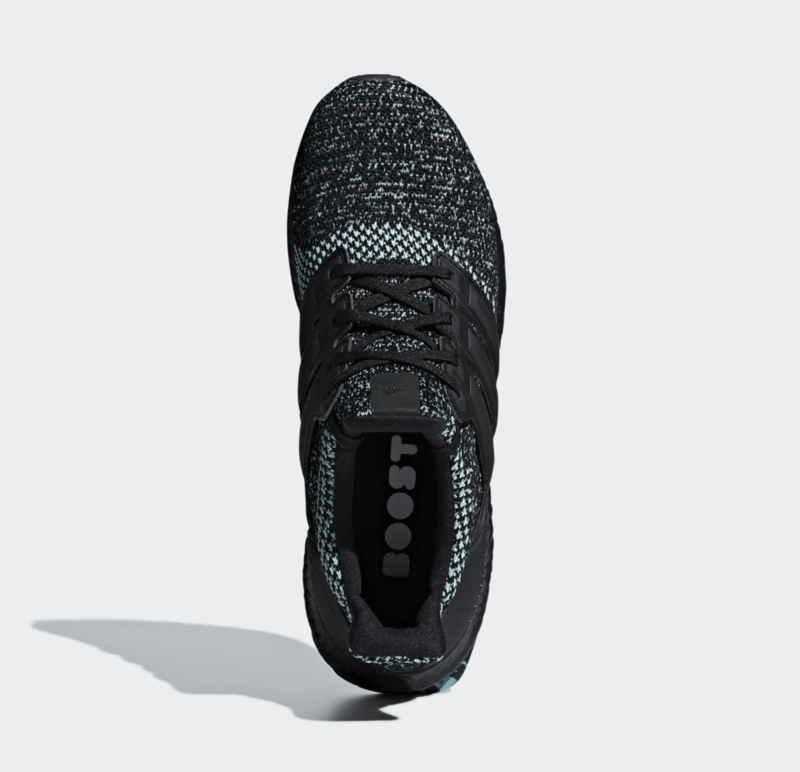 Finally, the new color scheme is finished off by a black Boost midsole and a marbled rubber outsole in black and green. While no announcement has been made by the brand, the next vibrant colorway of adidas’ Ultra Boost is expected to drop on December 1st, 2018. Check out the first look at the “True Green” Ultra Boost 4.0 below, and head over to our detailed 4.0 review if you aren’t sure about the updated look. Stay tuned to JustFreshKicks for more information about the release date. 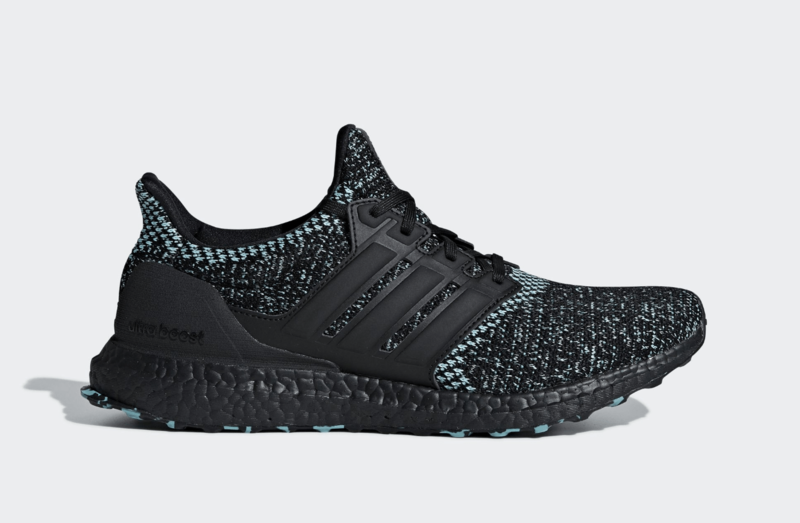 The post adidas’ Ultra Boost 4.0 Takes on a New “True Green” Color in December appeared first on JustFreshKicks.